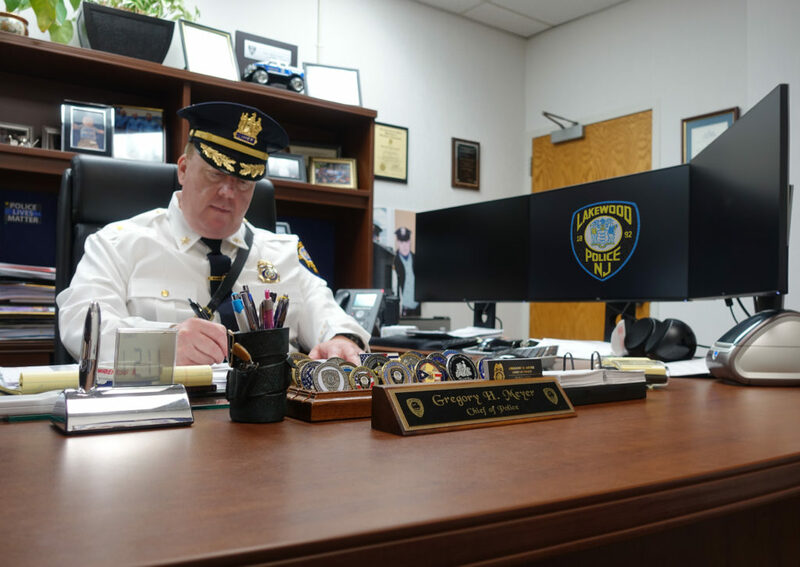 Gregory Howard Meyer graduated from Ocean County College in 1984 with a degree in Criminal Justice. Following he graduated the Ocean County Police Academy and was hired by Lakewood Township on January 2, 1986. He became Sergeant in 1996, and then Lieutenant in 2004. 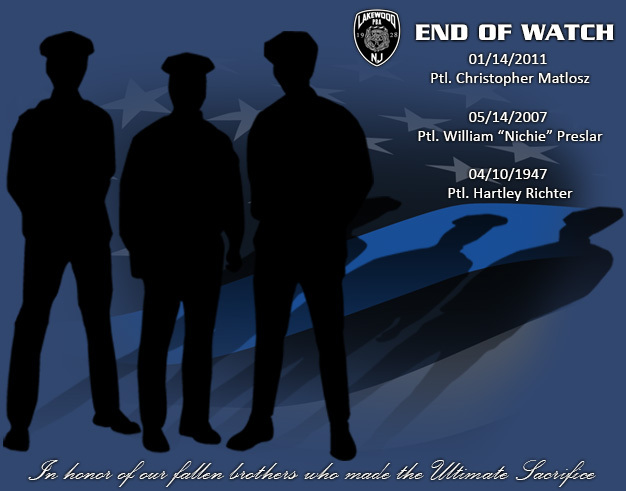 On September 24th, 2009 as the Team Commander of the Lakewood Police Special Response Team he was wounded in the line of duty. In 2011 he became Captain. During this time he continued to undergo extensive training. He graduated from West Point Command and Leadership Academy in May of 2013. After thirty years of dedication and hard work Officer Meyer made Chief, his lifelong dream. He continues to work on making the Lakewood Police Department the best it can be for its community. 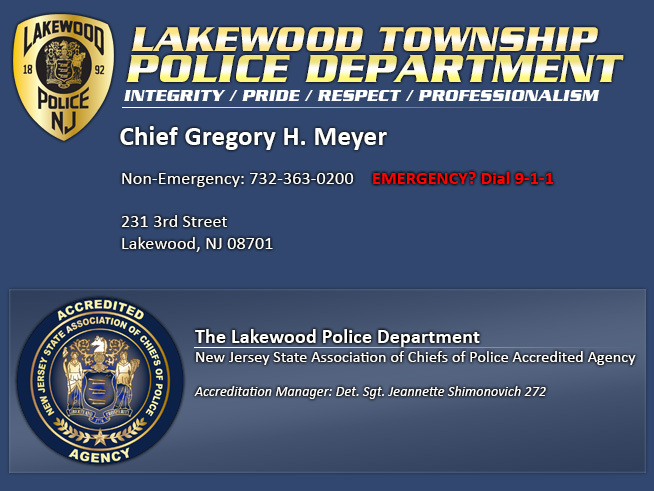 He is currently working on restructuring the department and improving technology, as well as hiring more recruits to keep up with the growing population in Lakewood.